The Organization of the Black Sea Economic Cooperation (BSEC) should not be a platform for political rows and score-settling, Russian Foreign Minister Sergey Lavrov said on Friday at the 39th meeting of the Council of Foreign Ministers of the Organization of the Black Sea Economic Cooperation member-states in Baku, Azerbaijan. "In the quarter-century of its existence, the BSEC developed as a popular regional venue," he said, speaking at a foreign ministerial meeting of the Organization of the Black Sea Economic Cooperation (BSEC). Its further success will depend on how pragmatically we will be able to build up our cooperation. Unfortunately, the situation in the Black Sea region degraded recently", Sergey Lavrov noted. "It is important to reverse this trend and work on turning the Black Sea Region into a zone of peace, stability, and prosperity. I am confident that the organization should not serve as a scene for political struggles, let alone score-setting. The BSEC chiefly deals with economic issues, and the organization’s mandate should be respected. 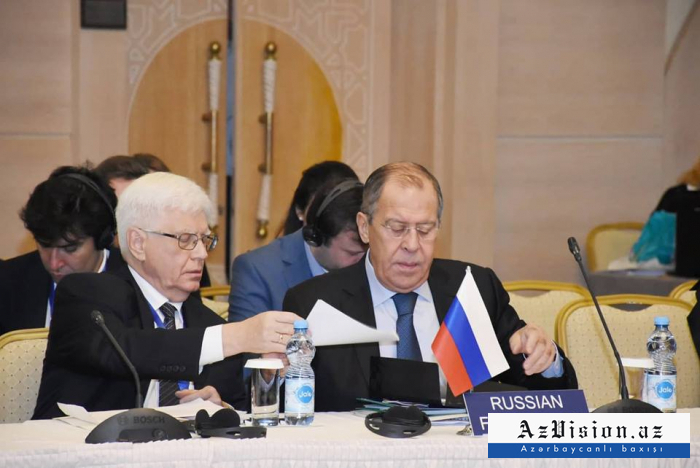 It is the guarantee of the BSEC’s capability to support the development of integration ties," Lavrov added.